It is easy to classify any sweet produce as fruit and toss all the remaining savory produce into the vegetable category. However, there’s a lot more that goes into determining whether a vegetable is actually a vegetable. Hint: It is not just all about how they taste. What determines a fruit or vegetable? Botanically speaking, a fruit is classified as the seed-bearing part of a plant developing from the ovary of a flowering plant. Vegetables, on the other hand, are the other parts of the plant including the roots, leaves, and stems. To phrase it another way, the fruit produced by a plant is not part of the plant, it is the means by which this plant is able to reproduce. Vegetables are extensions of the central plant itself. You may be shocked to find out just how many fruits are commonly mistaken as vegetables, due in part to culinary use, popular mythology, and misrepresentation. The tomato is perhaps one of the most well known vegetable-turned-fruit plants out there. Remember that point in your childhood when someone informed you that that tasty slice on your hamburger was actually a fruit? Most people are aware of the true nature of tomatoes and still treat it and label it as a vegetable. 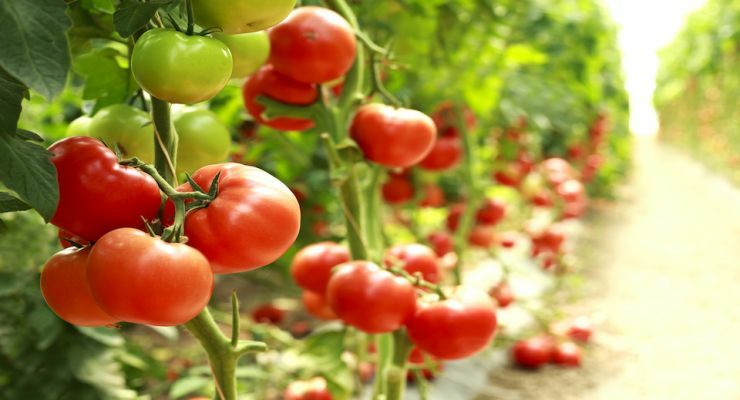 This debate became so intense that the Supreme Court had to intervene in 1893 to determine that, yes, while it is botanically a fruit, the tomato was to be taxed according to the (higher) vegetable taxes at the time. They based this decision off the “ordinary” uses of fruits and vegetables in the kitchen. Does your pepper have seeds inside? Then it is a vegetable. This includes jalapenos, the common bell pepper, and that ghost pepper you’ve been meaning to try. Though pumpkins may not come as a surprise since they are often used in sweet dishes such as pumpkin pie and casseroles. It may be more strange to realize that all members of the gourd and squash family fall into the botanical category of fruit. Be prepared for your world to be shaken…pickles are fruit. Cucumbers are delicious when covered in a layer of vinegar and dusted with sea salt. But would you add them to your next fruit salad? I certainly hope not! It is easy to classify something as a vegetable simply because it is green. In the interest of avoiding produce-based profiling, it is essential to bring to light the truth behind peas. Peas, or rather the pods that they grow in before being shelled, are actually fruits. So in reality, those little green sweet peas that you love to enjoy are the seeds of the pea plant. Another green fruit, okra is often misunderstood and seen as a second-rate vegetable. However, because it is full of potassium, fiber, and vitamin C, okra is one of the healthiest fruits on the market. With all the buzz they have received in recent years, it is surprising that many people still don’t know how to classify avocados? Are they vegetables, fruits? Are they sweet or savory? Thankfully, botany can finally settle this avocado conundrum. Avocadoes are fruits. They produce seeds and are the reproductive source for the avocado plant. Of course, this doesn’t limit how it can be used in the kitchen. Add it to your favorite smoothie, or combine it with eggs on healthy toasts. The possibilities are endless! Now that you are informed of a few fruits undercover as vegetables, you are not called to be the know-it-all that reeducates every produce “ignorant” person you come across. This knowledge, however, is essential in causing you to question your preconceived notions about health, wellness, and the food you eat. Instead, of merely going along with what society tells you, it is important that you question, research, and take your health into your own hands. The more you are able to learn about natural living, organic gardening, and the true sources of your food, the more you will become aware of the dangers of processed food and the importance of eating from the earth. Do you know of any other commonly mistaken vegetables? Let us know in the comments below! Hey Buddy!, I found this information for you: "The Top Veggies that Really are Not Veggies at All". Here is the website link: https://www.tropicalhealth.com/top-veggies-really-not-veggies/. Thank you.